The Grace Episcopal Church was originally built in 1883 in St. Helena. The church is located on Spring Street just off of Main Street, Highway 29, in the center of town. 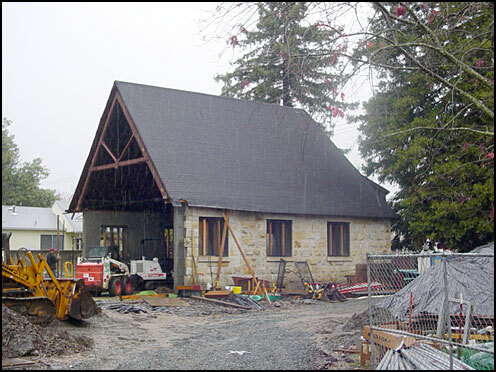 The original 1,000 square foot parish underwent a major renovation that added 4,500 square feet to the structure. 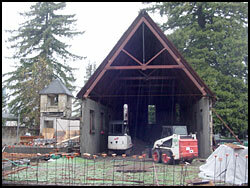 Back view of church where addition was being built. 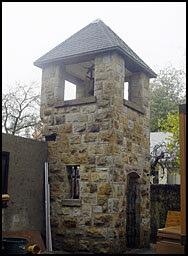 James Nolan Construction was the general contractor on the project which was completed in the Fall of 2006. 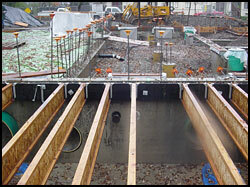 LeDuc & Dexter was the plumbing contractor that handled the under slab plumbing before the new foundation was poured. LeDuc & Dexter’s commercial department installed wastewater and hot/cold water lines for two new bathrooms and a kitchen. Each of the bathrooms has six toilets. Gas Lines were also installed in the kitchen. 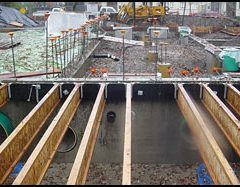 LeDuc & Dexter completed under slab plumbing for new kitchen and bathrooms. 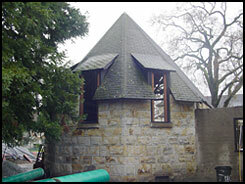 The original church exterior was built using hand-cut stone. 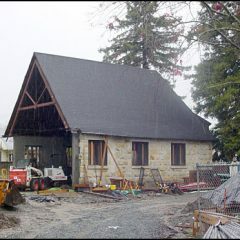 James Nolan Construction contracted a parishioner of the church, another contractor, to hand cut the stone for the new addition, located at the rear of the original structure. The interior ceiling was constructed of clear redwood with vertical grain and no knots. 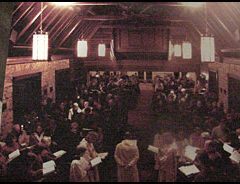 The windows in the original structure were redone with new window frames and another parishioner from the church refurbished the stain glass windows. New windows were also added to the new addition. In order to remodel and build the new addition, the old structure had to be almost completely gutted out as well as to allow for the installation of a seismic reinforcing system.